The spices in this recipe give this chickpea and lentil soup its rich flavor even though it has no lamb as in the traditional dish. Harira is a great recipe for the Daniel Fast as it has nearly 15 grams of protein per serving. Combine 2 cups warm water and saffron, let stand 2 minutes. Add 1/4 tsp salt, ginger, red pepper, cinnamon, and garlic. Cook 1 minute. Add saffron water mixture, broth, tomato, lentils, and chickpeas. Bring to boil then reduce heat. Simmer 20 minutes or until lentils are tender. Stir in cilantro, parsley, and remaining 1/4 tsp salt. 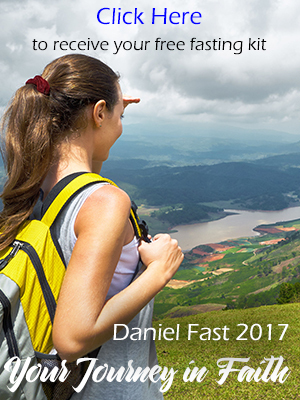 ← The Daniel Fast is ALWAYS a Spiritual Fast! 1. In a large nonreactive saucepan, heat the vegetable oil over moderately high heat. Add the white mushrooms, Portobello stems, onion and garlic and cook, stirring, until the mushrooms release their liquid, about 5 minutes. 2. Add 2 cups water, soy sauce, dried mushrooms, salt, thyme and remaining 6 cups of water and bring to a boil. Cover, reduce the heat to moderate and simmer until the liquid is reduced to about 4 cups, about 1 hour. 3. Pour the broth through a fine strainer into a heatproof bowl. Strain again, leaving any particles at the bottom of the bowl. Make Ahead The broth can be refrigerated for up to 4 days. Is there a recipe for the mushroom broth?